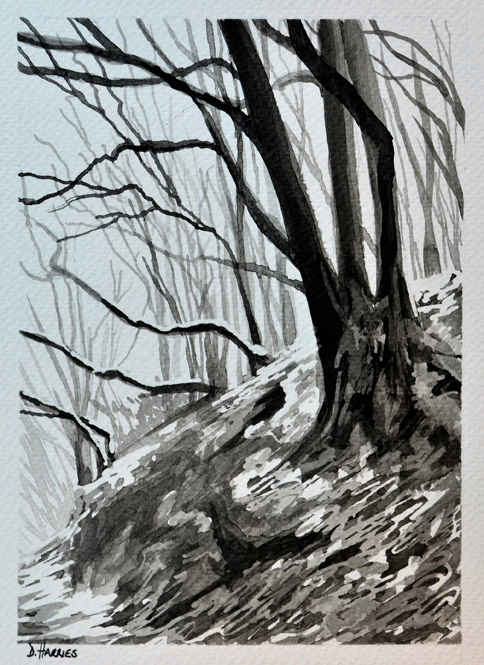 Indian Ink painting on watercolour paper. 18x13cm. Framed in grey wooden frame with white mount.